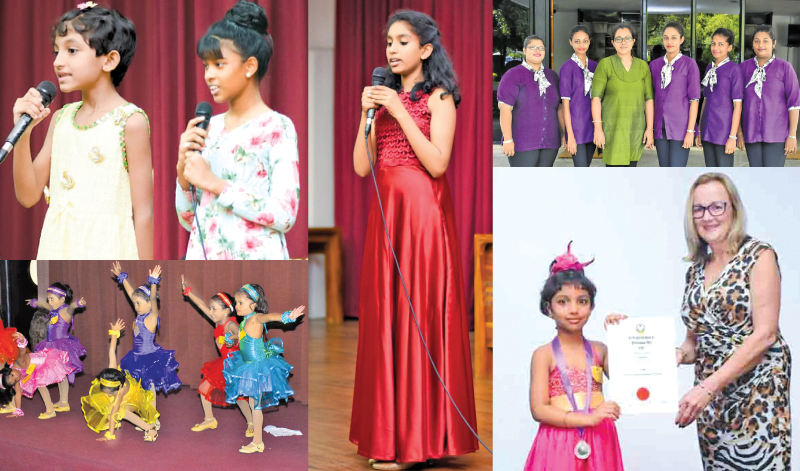 A festival of performing arts organised by Morning Star International Institute, Kelaniya, was held recently at Mahaweli Kendraya, Colombo. Australia International Music Examinations Board Directress Merryl Loyd was the adjudicator. She was invited by Morning Star International Directress Hashni Perera. The event is an annual programme which is organised by the institution to develop the language skills and performances of children and to motivate them to reach the international standards. Students from many schools and pre schools participated at the event. The students performed a wide variety of items which were chosen by them or their teachers from their syllabus. The subjects were Verse Speaking, Story Telling, Prose Reading, Prose Speaking, Sacred Reading, Dancing, Singing, Radio News Reading, Television News Reading and Miming. The students received a feedback form, a certificate along with medals in gold, silver and bronze according to their performances.